Savoury meal done and it means that it's time for the best part of the meal...... Dessert! It isn't for everyone but when the sweet tooth comes a calling, sometimes you've gotta comply. On this occasion, it was decided that one should step outside the usual Desserts and grab some Asian inspired sweets. The Honeymoon Dessert stall beckoned and I responded. The menu was pretty extensive so it was hard to decide. It was a variety of sweet Soups, Pancakes and Ice Cream. Started off with the Banana Pancake. Pretty yummy, not too sweet. The Pancake was nice and thin with a chewy texture. On the inside Cream and Banana :) My biggest wish was that it was real Cream not the "mock" stuff. 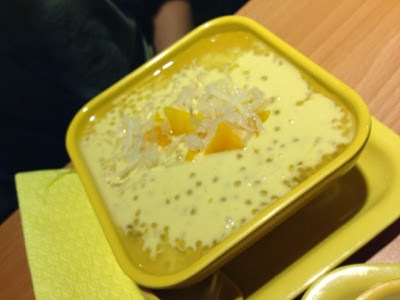 Then there was Mango Pudding with Sago (little Gelatinous beads) and Pomelo. This was the fave, very yummy with real Mango pieces. The Pomelo adds to it; a bit of acidity, it was very good. Again not too sweet. This one, I could eat all day :) It is served cold. Next up; yup there's more, was the Vanilla Sauce with Thai Black Rice Pudding and Durian Ice Cream. When there is Durian involved, it'll most certainly be an acquired taste. The Thai Pudding was nice, giving the Dessert a "chewy" texture due to the Rice. The Durian was of average quality but still has a strong distinctive taste. There wasn't too much of a smell. It was pretty good with the sauce as well. The Vanilla made it less "pungent". 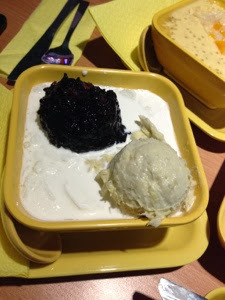 In the end though, the 3 were meant to be mixed so scoop some Rice pudding, some mashed Durian, dip in the sauce and eat. It actually works :) As mentioned, it is an acquired taste so give it a try if you're feeling adventurous. I didn't mind it at all. The Dessert is served cold, as there is Ice shavings in the Vanilla sauce. 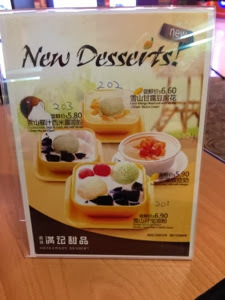 There are some special Desserts as well which are brand new. If you pay Honeymoon Dessert a visit, look out for these new additions. Honeymoon Dessert is worth a try. With such an extensive menu there must surely be something for everyone; hot or cold. The branch I went to is at I12 Katong. 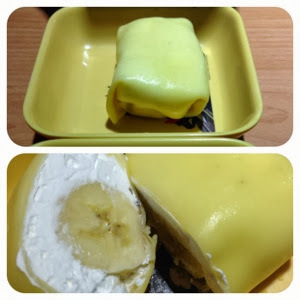 Have you tried any Asian Desserts and did you like it?